Ignite Stamford is tomorrow night (Wednesday) at the Stamford Innovation Center at 175 Atlantic Street. Featuring speakers who have to give a presentation about something they are passionate about with twenty slides that auto-advance every 15 seconds, the event begins at 7:30. As some of you know, I actually gave one of these presentations - on welding. It was harrowing and fun and I recommend it to anyone. For this Ignite Stamford, as it isn't winter anymore, I've decided to ride my bike there. 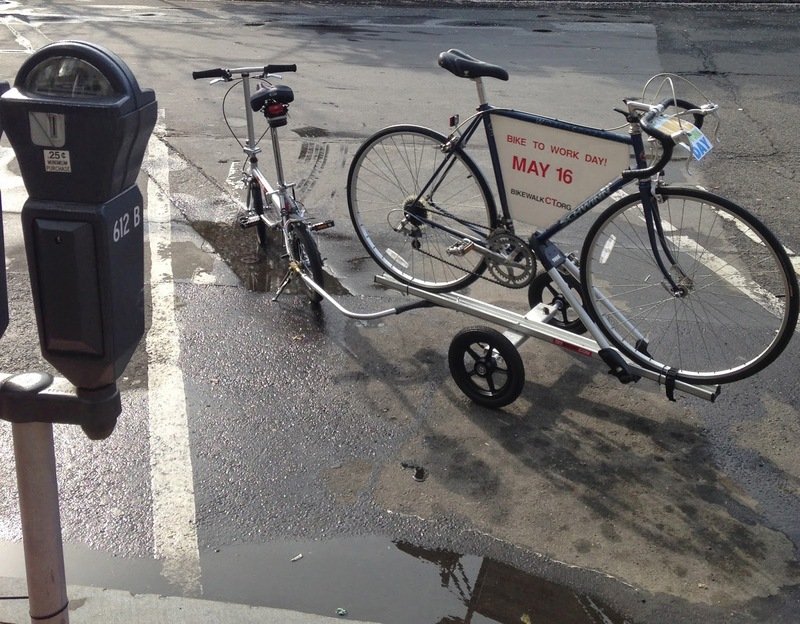 See, this is Bike to Work Week, and as I've said on this site (and on my column at Stamford Patch) several times that I want people to choose the bike, just like I want every working Connecticut resident to visit Bike Walk Connecticut's site and pledge to ride to work on May 16th. To back up just a moment: if any wily reporters from TMZ were tailing me today (they're bored now that they've established that Solange Knowles assaulted Jay-Z for mocking CitiBike): the only reason I used my car on the second morning of Bike to Work Week was because I had to drop it off at Hank May's to get the air conditioner fixed. 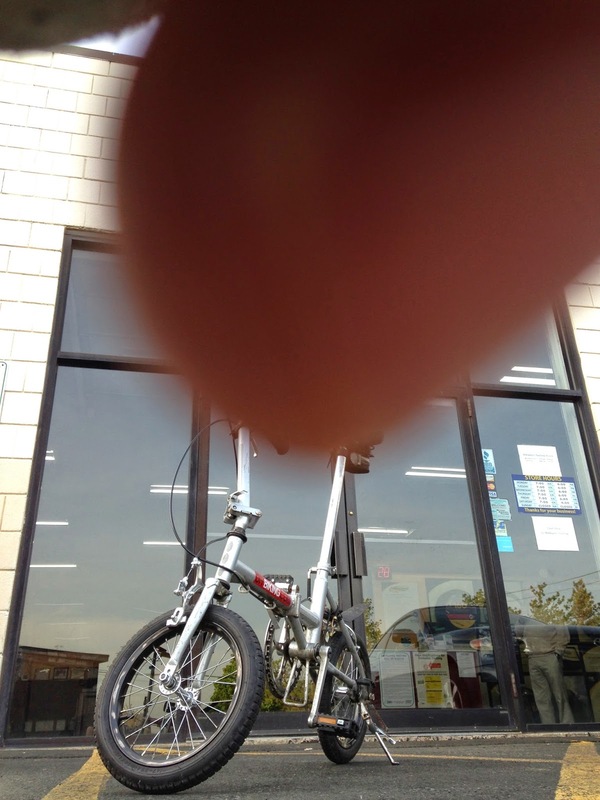 Sorry: I was trying to get a shot of the bike in front of the building and my hand must have slipped. Anyway, after this photo was taken I rode the bike home afterward. Later today I'll pedal back to Hank May's to pick the car up. Assuming everything is fine, it will go back to costing me $0.17 worth of gas each mile I drive it. The thing is, as a lot of people know, the weather is a bit iffy this week. Today is gorgeous but things will likely get wet later on - possibly by tomorrow. 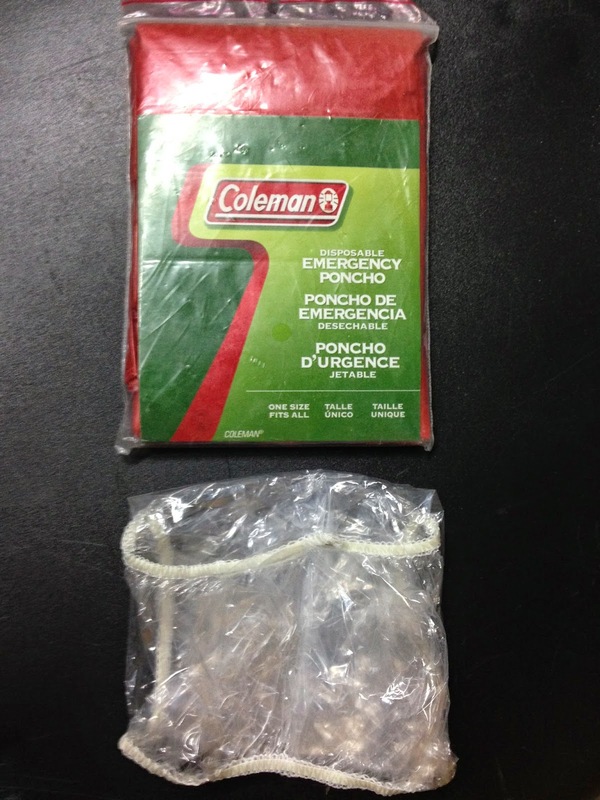 But I've planned for this contingency, for I have the two inexpensive tools any cyclist needs to survive the rain: a hotel shower cap to stretch over my helmet and a cheap rain poncho. I also, of course, have a bright jacket to wear on the way back (this one a Christmas gift from my parents) since it may begin getting dark by the time Ignite Stamford is over. If it is dark AND raining, I'll wear a simpler vest over the poncho. I'll also have any number of bike lights attached to my person and whatever bike I take. 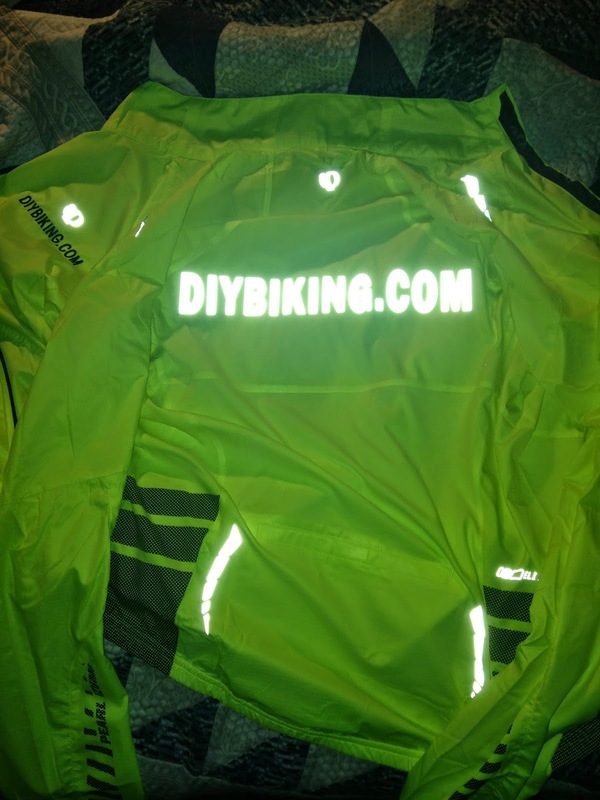 For those of you who haven't seen the DIYBIKING.COM Presents: Staying Safe While Riding at Night, please give it a look. The reason I'm telling you all this - aside from the fact that Ignite Stamford is a lot of fun but is situated in a place where the parking situation isn't ideal - is that I'm making the commitment to take my bike ahead of time, and there are the simplest, simplest things one can do in case of bad weather. I can also tell you that when I worked across town last year I'd sometimes look at the sky, look at the weather forecast, and reluctantly drive my car the three and a half miles. And whether the forecast was accurate or not, I regretted choosing the car each and every time. Sometimes I'd regret it because I have to stop somewhere during the trip back and have trouble finding a place to park…even though I absolutely do not need a space that is more than 144 square feet to park a bike. If the Stamford Police Department and/or the Parking Authority is not amused by this photo, I have to tell you that there was money in the meter at the time this shot was taken and there was no visible bike rack on Bedford Street. So I hope those of you who can attend Ignite Stamford (as of this morning there are only a few dozen tickets left so get a ticket as soon as possible) commit to biking safety to the event if you can, and I hope everyone in the state of Connecticut will take the pledge to ride to work on May 16th. Also be sure to check Bike Walk Connecticut's list of Bike to Work Day events to see if you can visit one near you. And if you're still holding on to excuses to not ride to work, check out their list that debunks the top ten. Thanks for reading and thanks for riding.